One of the blogs I follow is Phil Platt’s Bad Astronomy, which is hosted on the Discover Magazine site. ” … There is gas between the stars, which astronomers call the interstellar medium. The solar wind blows out into it, slowing. There is a region, over a billion kilometers thick, where the solar wind plows to a halt, creating a roughly spherical shell around the solar system. That’s called the heliosheath, and it looks like Voyager 1 is now solidly inside it. In fact, it’s been there for four months or so; the scientists measuring the solar wind speed noticed it dropped to 0 back in June, but it took a while to make sure this wasn’t just some local eddy in the flow. It’s not. Voyager 1 now has calm seas ahead. Call me a terrible sentimentalist, which I probably am, but I do get more than a little teared up thinking about Voyager heading out there into the vasty deeps of space beyond the solar system. I get the loneliness of it, but also the grandeur of both the enterprise and the magnitude of space. And of course, all the “what if” imaginings of what that “beyond” might bring are the very stuff of science fiction! 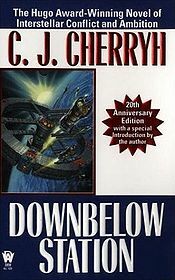 One of my favourites is CJ Cherryh’s Downbelow Station. How about you? 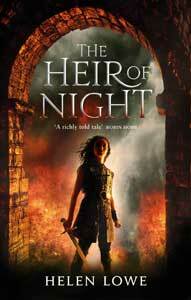 Do you have a “definitive” science fiction story? Downbelow Station would be right up there, but I would also like to put a plug in for “The Moon Goddess And The Sun” by Donald Kingsbury, as well as novels like “Footfall” by Larry Niven and Jerry Pournelle. I would also like to give “Earth Abides” by George R Stewart a mention. Thank you, Andrew—I shall have to check out your recommendations. I am embarrassed that I have not read any of them!